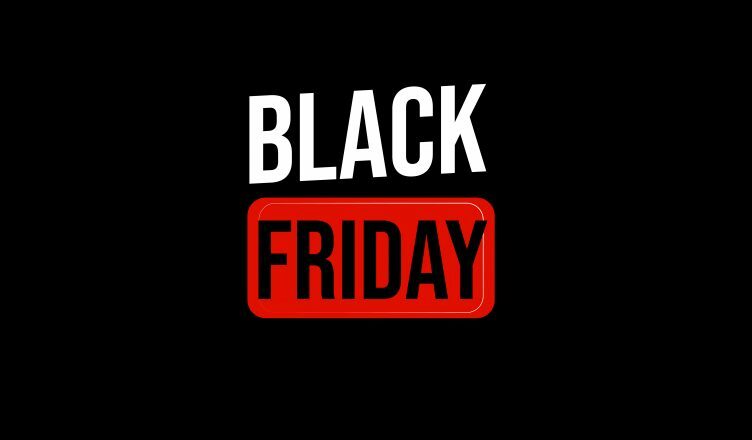 Black Friday is an incredibly important day for retail businesses. Holiday sales can cause your revenue to skyrocket. But you must make sure that you’re capable of handling a surge in new orders. Otherwise, the delayed deliveries will do serious harm to your reputation. A good reputation takes years to build, but it only takes one bad day to destroy. Making a lot of sales on Black Friday isn’t worth it if you can’t fulfill the orders on time. In fact, one of our clients switched to Route4Me because they had a miserable experience with Black Friday in 2017. They hired a large number of extra drivers in advance of Black Friday, but they still had issues. Most of the deliveries were not made on time. Some customers claimed that their scheduled deliveries weren’t made at all. It was a disaster. Here’s what went wrong: the client used pen and paper to plan their routes. So, their routes weren’t efficient (in some cases, the directions weren’t even accurate), and they had no way to track their team members who were on the road. All of this could have been easily avoided if the client used a route planner instead of planning their routes manually. This technology allows businesses to plan better routes, track their team members in real-time, and keep their customers happy. In this article, we’ll show you exactly how a delivery route planner app will help you manage operations on Black Friday and Cyber Monday in 2018. There’s more to route planning than just figuring out how to get from Point A to Point B. You need to consider many factors, including traffic (this is an especially important factor during the holiday season), weather, and construction, in order to consistently arrive on time to each of your stops. That can take a long time to do by hand. Depending on the number of stops you need to make, it can take hours. And there’s a good chance that you’ll make a mistake or two if you try to do this by yourself, which would delay your team members in the field and upset your customers. But there’s no reason to plan routes by yourself. Route optimization software can do it for you. With route optimization software, all you need to do is plug in the addresses you want to visit and set the constraints (number of drivers, availability window for each customer, etc.). The software then accounts for all the factors involved with route planning and produces an optimized route for you in 30 seconds or less. Of course, optimized routes won’t do you much good if your field team members don’t actually follow the routes you give them. Make sure that your multiple route planner has a real-time GPS tracker. This feature allows you to see the location and speed of each of your team members at all times while they’re on the job. With GPS tracking, you’ll be able to verify that your team is sticking to their routes, staying on schedule, and doing everything else you need them to do on Black Friday. Another benefit to GPS tracking is that it makes geofencing possible. Geofences are virtual perimeters that can be placed around the locations of your customers. You can set it up so that whenever one of your team members crosses through a geofence, an email or text is automatically sent to the customer that lets them know their order is about to arrive. They’ll appreciate the notice! Tracking data can also be shared with your customers to give them some peace of mind. It’s easy: Route4Me generates a unique tracking link for every route created, which you can share with your customers via email or text. Then, your customers can plug that URL into our online customer portal to see the real-time location of the vehicle they’re waiting on displayed on a map. They’ll know exactly how long they need to wait for their order to arrive. Giving your customers the ability to do this will reduce the number of calls made to your support staff, which is sure to be very busy already during the holidays. The carrot and stick approach is the best way to improve team member performance. With GPS tracking, your team members know that if they slack off, they’ll likely get caught and reprimanded – that’s the stick. With this information, you’ll be able to evaluate your team members more accurately and determine who deserves raises and promotions. You should also give out small prizes such as gift cards or cash bonuses to high-performing drivers as an extra incentive. The problem with doling out these rewards, though, is that the team members who don’t receive them might feel underappreciated and resentful. This can cause them to perform worse. They might even feel like your business is so unfair that they quit. That’s why you need to be open with your team. Show them the data and explain to them how you determine who is rewarded and who isn’t. When they see that your process is based on objective data, they’ll be encouraged to work hard every day. On a busy day like Black Friday, you can’t afford for any of your vehicles to break down. You need all hands on deck. If you want to keep your vehicles running smoothly, then you need to be proactive. It isn’t enough to take your vehicles to the shop when you see signs of trouble – you need to take your vehicles in before there’s any trouble and keep them fine-tuned. Route optimization software with GPS technology makes it much easier to keep track of when your vehicles need routine maintenance. You can see exactly how many miles each vehicle is traveling and set up a schedule for check-ups and oil changes. Every small business wants to make more sales during Black Friday. There’s nothing wrong with that! But, again, you need to make sure that you have the capacity to handle those extra sales. Route4Me can help you with that. With our mock routes feature, you can see how many drivers you would need and how much it would cost you in fuel and wages to visit a hypothetical set of stops. That way, you can ensure that you only take on new customers that you’re able to handle. Whether it’s Black Friday in 2018 or any other time of the year, you want each of your team members to have roughly the same amount of work. If one team member has too much work, it’ll be difficult for them to make all their stops on time. They might even break the speed limit and put themselves at greater risk of getting into an accident in order to stay on schedule. But if you give anyone too little work, you’ll end up paying them to sit around and do nothing. You need your workload to be as evenly distributed as possible to get the most value out of your team. This would take a long time to figure out by hand. But with Route4Me, you can do it with just the touch of a button. We’ve already established that planning routes by hand can take hours. So, what if you planned a route manually, and then on the day of the route a customer calls in to place an order at the last minute? The addition of one stop to the route would affect how you approach every other stop on the route. There wouldn’t be enough time to create a new route from scratch. You’d need to turn the customer away. With Route4Me’s Dynamic Stop Insertion feature, you can accommodate these last-minute requests. Enter a new stop, and it will find the best spot in the order of the route for it. Then, you can re-optimize the route in less than 30 seconds, and you’ll be good to go. Route4Me makes same-day dispatch easy. Read this article to learn more about Route4Me’s Dynamic Stop Insertion feature. How will you manage last mile delivery on Black Friday? Do you have any questions about this article? Feel free to let us know in the comments section below. How can a route planner help you stay on top of vehicle maintenance? How can a route planner help you monitor your field team’s activities? How can a route planner help you with same-day delivery?